Mark Ward has been fighting for his life since he was born. At three-months-old, doctors diagnosed him with severe hemophilia. At 14, he learned he was HIV positive. Then, Ward found out he had hepatitis C. Now, 49-years-old, the number of diseases Ward lives with are in the “double digits.” He got almost all of them from tainted blood. But his illnesses aren’t the only part of his battle – Ward is also gay. 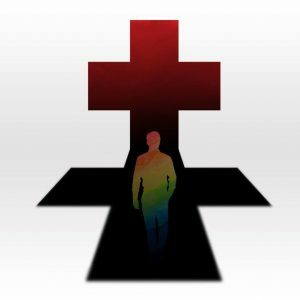 He says rampant homophobia in the 1970’s coupled with a limited knowledge of HIV made him a unique patient growing up. Mark Ward, as an infant, before his hemophilia diagnosis. It spurred him to start Haemosexual in 2014 – it’s an advocacy group and online resource for other gay men with bleeding conditions. He’s flown around the world from conference to conference, trying to help doctors understand gay patients with blood clotting disorders. He also wants to prevent any more hemophiliacs from contracting HIV. Ward’s work includes being a resource for LGBTQ+ patients who approach The Haemophilia Society U.K. and creating a booklet to help gay patients stay sexually active in a safe way.